Want to sparkle without adding to the plastic pollution? 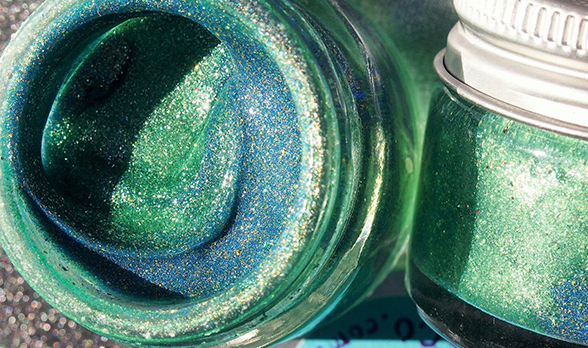 ECOglitz® is a plastic-free glitter made of certified organic plant ingredients and mineral powders. Apply thickly for a glamorous festival look or use a smaller dab and lighter coat for a thin shimmery feel. Can be used on eyes, lips, body and hair. When the glitter is washed off with water, the cream dissolves and only dust is left. No need to biodegrade as there is no plastic. An eco-friendly, versatile best friend in your purse.